The handle measures 19" long and features an ergonomic 10-degree bend. This slight angle, combined with the overall handle shape, simulates the arm position of on-water rowing and provides a comfortable rowing position throughout the rowing stroke. The handle is molded of glass-reinforced nylon providing additional strength without additional weight. If you are looking to retrofit your older indoor rower with this handle, refer to the part numbers below for the retrofit kit you should purchase to ensure you receive all the parts you need. 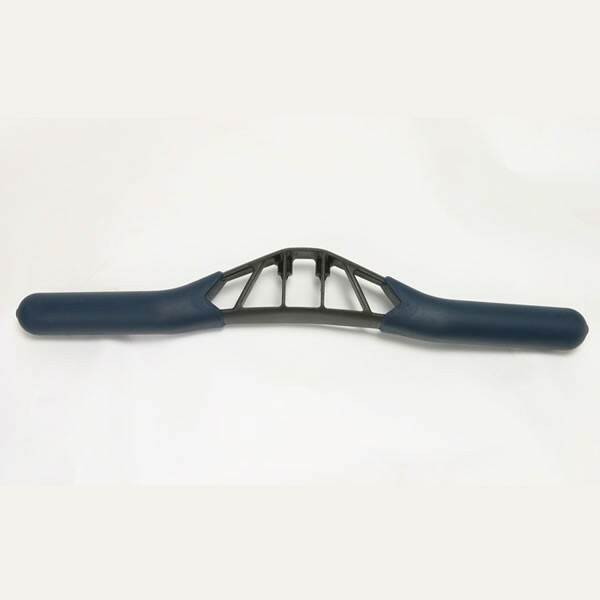 If you've already retrofitted your older indoor rower with this handle and need to replace the handle, then you can purchase part number 1042.